me how you would check that the engine has sufficient oil. Ans. Remove dipstick wipe with clean cloth place back in fully and then remove and check level is between min and max markers. Ans. 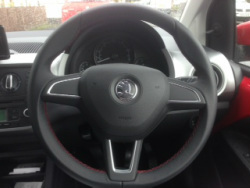 Steering should not feel heavy if it does then power assisted steering may not be working. You should get it checked. and tell me how you would check that the engine has the correct level. me how you would check the windscreen washer level. Ans. Point to reservoir and check between min and max markers. Ans. Point at reservoir (Black cap) make sure level is between min and max marker. Ans. Turn key until light in dash are on then apply left signal get out and check both front and rear then repeat once right is selected. so it provides the best protection in the event of a collision please . Ans. Turn key until light in dash come on. Turn on lights (twist switch lights are on) then turn fog light on. Used when visibility reduced to 100m or less. Ans. 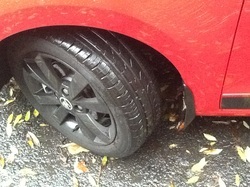 Brakes ( Middle pedal) should not feel spongy when moving car should not pull to one side. and explain how you would know the main beam is on whilst inside the car. Ans. Turn Lights on by twisting away from yourself. 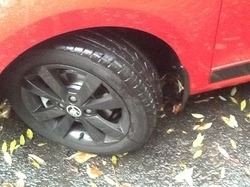 tread depth and that their general condition is safe to use on the road. Ans. Check there are no cuts or bulges in outer walls and has min of 1.6mm of tread across center ¾ of tyre. Show me how you would check that the brake lights are working on this car please. I can assist you. If you need to switch the ignition on, please don't start the engine. Ans. 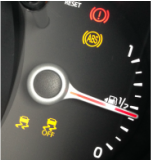 ABS Light in dashboard should go out when engine is started and should stay of for full journey. Ans. Tell them this don’t do it if you are asked to show them then do it. Show me how you would use the demister controls to clear all the windows effectively please, this should include both front and rear screens. Ans. Turn car on Select front window. Set fan speed and temp. Then press button for back window. manufacturer's handbook and/or the appropriate DSA publication. The Official DSA Guide to Driving the Essential Skills. NB: The manufacture’s vehicle handbook should also be consulted.